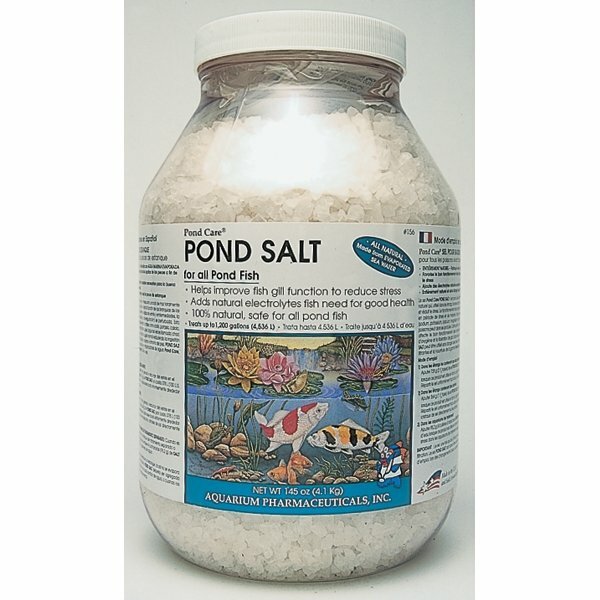 An all natural sea salt, used in the pond to improve fish gill function and to reduce stress. During period of stress and disease healthy gill function is disturbed. This can lead to the loss of electrolytes. 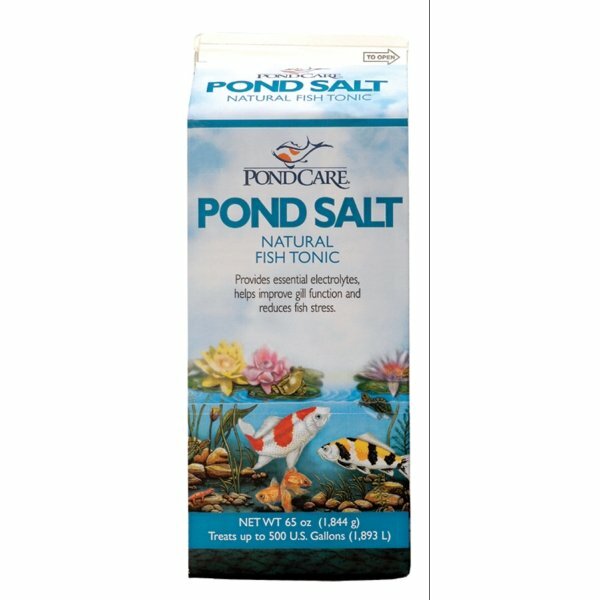 PondCare Pond Salt has different options and/or variations, please choose below. An all natural sea salt, used in the pond to improve fish gill function and to reduce stress. During period of stress and disease healthy gill function is disturbed. This can lead to the loss of electrolytes such as sodium, potassium, calcium, magnesium and chloride through the gills. This interrupts healthy gill function by reducing the intake of oxygen and the release of carbon dioxide and ammonium from fish. As a tonic: add 2 1/2 cups for each 100 gallons. Sprinkle salt evently over the pond. Do not drop crystals directly on plants. To reduce stress: add 4 tbsp per 10 gallons of water.